← Monday Question – How Do You Organize Your Samples? Something has been buzzing around the perfume community for some time now. 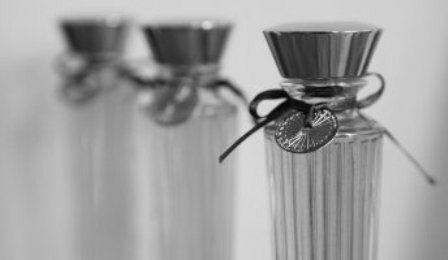 A new line, three perfumes, one perfumer, a creator with roots in our very community and an hommage to a country many of us find mythical, inspiring, beautiful and full of contrasts and contradictions. The three perfumes by Neela Vermeire Créations look to India, Paris-based lawyer turned perfume entrepreneur Neela Vermeire’s native country. By getting Bertrand Duchaufour, perfumer extraordinaire, on board, Neela ascertained not only the fact that three excellent perfumes saw the light of day, but also that many of us who follow M Duchaufour’s work, would be very interested to try the new line. 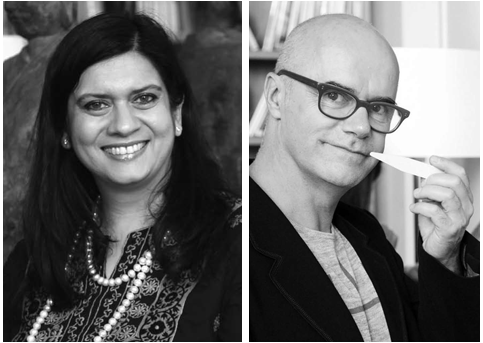 But it is not only the lure of Bertrand that drew me towards Trayee, Mohur and Bombay Bling!, no, Neela Vermeire also makes it easy for seasoned fumeheads to try her line. She knows what we want, she is one of us after all. On her beautifully designed website, Neela offers not only a sample set of 3x2ml size, but also a discovery set of 3x10ml. The elegant retro bottles of 55ml EdP will be available soon. But it is not avilability either that is the most compelling reason for me to love the line. It is not even the excellent juice. It is the entire picture. Neela Vermeire Créations has done what I love to see in a line that I want to try – everything fits. From the logo, to the general aesthetic, the juice itself, the packaging, the marketing, the web presence, it all speaks of quality and most importantly, it speaks of passion. It is apparent down to the smallest detail that Neela loves what she is doing, that this is her dream and this is what she wants to do and what she wants to be remembered for. This line is not one where money or status is front and center, where the perfume is an afterthought, where a gimmick of some sort is showcased or where the niche idea is driven ad absurdum (another Duchafour project for Marc Atlan comes to mind here). 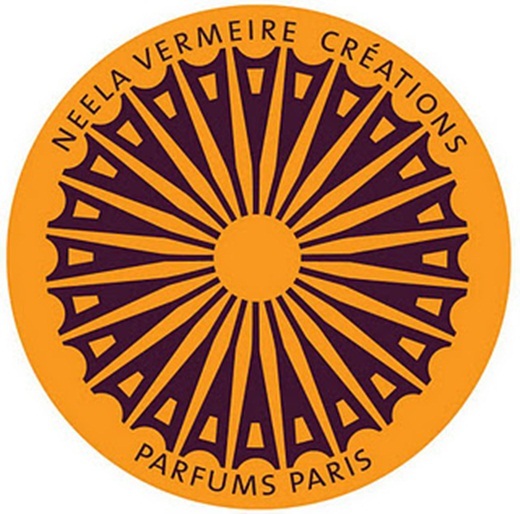 Neela Vermeire Créations is about what is most beautiful in perfume, what we love the most about it and what we crave with every new bottle we seek – to be transported, to have our heartstrings tugged, for our emotions and imaginations to run wild. Notes include Blue Ginger from Madagascar, Elemi Oil, Cinnamon Bark, Ganja Effects, Blackcurrant Absolute, Basil, Sambac Jasmine Absolute, Egyptian Jasmine Absolute, Cardamom Absolute, Clove, Saffron, Sandalwood, Javanese Vetiver, Haitian Vetiver, Incense, Mysore Sandalwood Oil, Patchouli, Myrhh, Vanilla, Cedar, Amber Note, Oudh Palao from Laos and Oak Moss. Trayee is about spices, incense and wood. Well, that is an area of expertise where we know Bertrand Duchaufour to excel (although he seems to be good in almost everything he touches). And out of the three, it is my favorite, though not by far. The other two are just as good, if not quite as original and unique as Trayee. Starting out with a good dose of cardamom and ginger, a lovely fruit note (blackcurrant) comes out soon and sweetens the spices. Very intricate and multi-layered, Trayee eventually segues into smooth incense assisted by dry woody notes and lingers for a long time. Calming, soothing, meditative almost, but still lively and very much present in the here and now. It doesn’t take you off into some ethereal place, but retains its roots here on earth. Somehow that makes this perfume very charming and likeable. It transports you alright, but not straight into Nirvana, but rather to a palace in India, which is absolutely good enough for me. Notes included are Cardamom Absolute, Coriander Seed Oil, Ambrette Seed, Carrot, Black Pepper, Elemi Oil, Turkish Rose Oil, Moroccan Rose Absolute, Rose Accords (more or less 11%), Jasmine Accord, Orris, Aubepin Flower, Almond Milk Notes, Violet Flower and Orris Effects, Leather Vitessence, Sandalwood, Ambre, White Woods, Patchouli, Oudh Palao from Laos, Benjoin Siam, Vanilla and Tonka Bean. Mohur is very feminine to my nose and sensibility. Starting out with cool spices soon a blood-red rose, voluptuous and rich unfolds and captures my attention. I love my roses spicy (for example Ormonde Jayne Ta’if , By Kilian Rose Oud or Amouage Lyric) and this one certainly fits the bill. This is not a shy flower, this is an all-out, no holds-barred rose, complemented by spicy nuances and a woody backdrop that is simply beautiful. Mohur is the most quiet of the three, although it is hard to compete with the uniqueness of Trayee and the exuberance of Bombay Bling!, Mohur holds its own. She is the Grand Dame, elegant, smiling and undeniably beautiful, she is still a woman who is not afraid to just take you into her arms and hug you and envelop you in her soft warmth. Wear time and sillage are above average. Mango, Lychee, Blackcurrant, Cardamom, Cumin, Cistus, Rose Accord, Turkish Rose, Jasmine Sambac Absolute, Madagascar Ylang-Ylang, White Floral Accord of Tuberose, Frangipani and Gardenia, Patchouli, Tabacco, White Woods, Cedar and Vanilla. But in an effort to be a little more eloquent, I’ll add that Bombay Bling! has the unique ability to influence the weather. You’ll see! Bombay Bling! is fun! But hours after the exuberant beginning has faded, I am still left with an amazingly deep and much darker in tone than before base that offers a depth and profundity you never expected in a perfume so happy go lucky to start with. I am very happy that Neela offers a discovery set, because I would have a really hard time deciding which one of the three I would want the most, thankfully I don’t have to – one of those sets has my name on it! So, did you try the line? Which of the three is your favorite? What do you think about this new brand? This entry was posted in Floral, Fragrance Reviews, Fruity, Gourmand, Green, Incense, Jasmine, Neela Vermeire Creations, Oriental, Rose, Spicy, Tuberose, Vanilla and tagged Bertrand Duchaufour, Bombay Bling, floral, Fragrance, Mohur, Neela Vermeire Creations, Perfume, Review, Trayee. Bookmark the permalink. 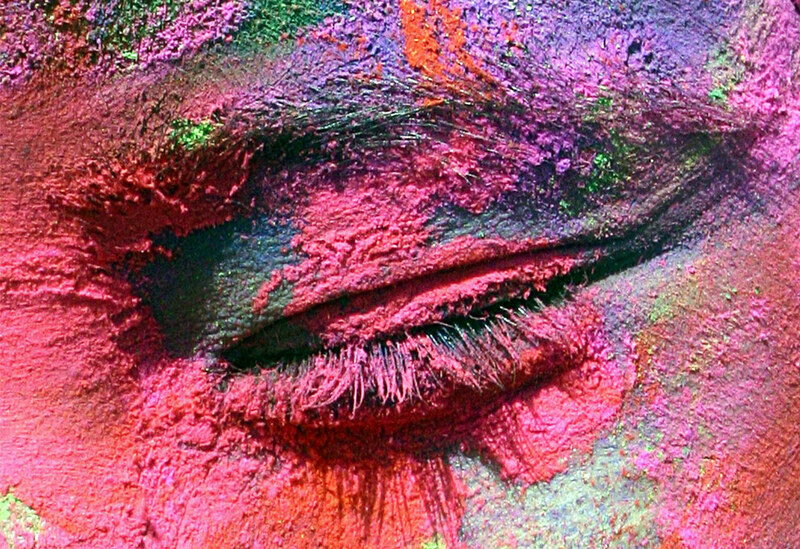 65 Responses to Close Your Eyes And Follow Me – Review: Neela Vermeire Créations Trayee, Mohur, Bombay Bling! I agree with you on whole company – perfume picture. I’ve read many good reviews of the line and some time ago wanted to order some samples. But I forgot. I parise their choice to offer 10 ml version of perfumes ;-). Many perfumistas will be very thankful. This company does it just right. 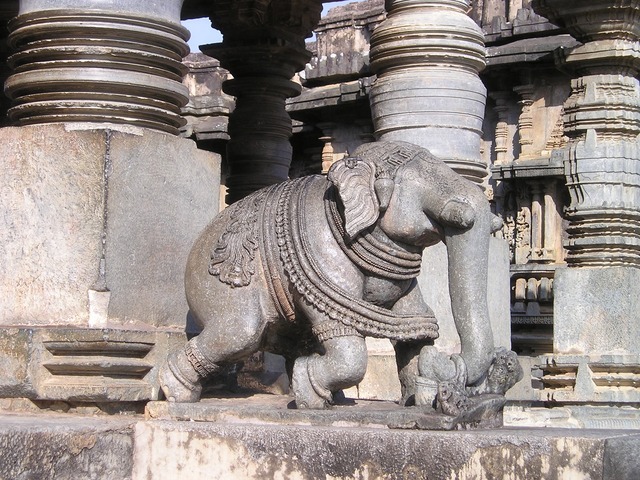 Everything we always talk about on the blogs and boards, Neela has done it, gotta love that! And let’s not forget that the juice is amazing!!!! I like delicately spiced things, but don’t actually like overpowering aromas of Indian goods and foods in most specialized stores and restaurants. I find them too strong, the spices too overpowering and numerous, and especially the vegetables overcooked for my western mediterranean palate. I only enjoy all of that with a very light hand, and in most cases… just in spiced teas, that is a favorite way to indulge myself once or twice a week. Anyway, I know it’s a kind of my personal ‘impotence’, and we cannot afford to lose any of these precious things you’re reviewing! Maybe someday I’ll see the Light! But seriously, those three perfumes are extremely well done, I was afraid of too much spice, too much volume, too much Indian cuisine allusions… I needn’t have been. As far as I’m concerned those three are just about perfect. I tried these unique perfumes a couple of weeks ago and love Trayee. As soon as the full bottles are available one will be mine! Mohur was also very nice. But I found Bombay Bling turned too salty on my skin. Perhaps it needs warmer weather to really bloom. It is a very nicely done line. Great that you tried them, Sandra! Great to read more reviews of this line, which I will have a chance to try soon. Actually, I did already sniff Trayee briefly, as Nick had a bottle the other night, and was reminded of Lyric. Could really do with the sunshine in a bottle that is BB. 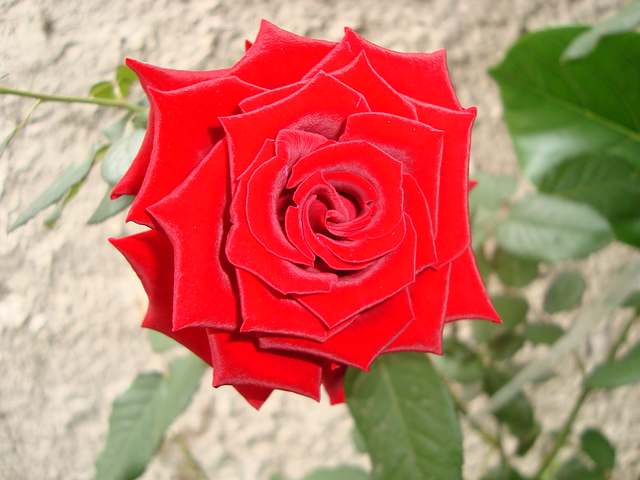 ; – ) And re Mohur, the rose is full-bodied but the overall effect quiet, if I understood right? That sounds like my kind of rose scent! Are you sure you didn’t smell Mohur when you are reminded of Lyric? The two are similar in concept. Pretty sure it was Trayee – I will be able to check soon and let you know! Yay! I’m happy I inspired you to try them! Please let me know what you think, Isabelle! I think Neela Vermeire did a great job with a unifying theme, finding a nose that could come up with formulae that express what she wants, and reaching out to perfumistas with a variety of sizes! Sadly, I haven’t had any interest in trying them, I’m not sure why. I’ve been besotted with my traditional Indian attars for several years now; I’m not so interested in French/Indian hybrids. And now that the traditional attars are dying out (except for a handful of families), my attar collection seems that much more precious. I don’t want to spend $300 on a bottle of a modern, IFRA-compliant hybrid when I can buy a good few drams of a favorite vintage shamama, or a new batch of mitti/vetiver attar, for about $50. But I’m glad you are enjoying them, Bollywood Bling in particular sounds like fun. Very smart offering that discovery set! Neela obviously knows, and respects, her audience, and I applaud her for managing to stand out in a sea of new house launches, and new niche launches. Three seems like a good number to start with: one may not pique my interest, while a few more makes me wonder how much care was put into each one (some launches have eight or more? Tis crazy!). On to the “to try” list she goes! I’m about to send off a package to you, I’ll put in the rest of my samples. You must try them! I was going to order the samples through Luckyscent – seems like this post came to me just at the right time. I’m going to look into the discovery set. At first, I thought Trayee would be the scent that reflected my style best but you piqued my curiousity with your description of Mohur. I, too love a spicy rose and BK Rose Oud is my favorite rose scent. Bombay Bling! initially scared me with all the fruits, turberose notes but as I read the notes contents further it seems to dry down to a lovely deeper woody scent. Does it change remarkably? And it has my new favorite note – patchouli. Okay, sounds like all three NEED to be smelled and admired! Thanks Birgit, outstanding post once again! The drydown of Bombay Bling! is beautiful. A very rich and deep wood scent. I think there is really not one that is markedly better than the others, all are equally interesting and beautiful. I was afraid you were going to say that. I’m still hesitant doing a blind buy. I may proceed w/caution by ordering the samples via Luckyscent. And if truly is love then I’ll purchase the discovery set! Of course! One should always try before investing serious money! I hope you’ll let me know what you think once you tried them! B, I’m so glad that you reviewed these, I’ve been intrigued to hear your thoughts on them for quite a while. Trayee seems to be most people’s favourite and I can see why, there is just something about that combo of fruit, cardamom (a note that should be used more) and the woods and spices. It’s heavenly. Bombay Bling! is that rare thing, a fun fruit cocktail that you don’t want to scrub off after five minutes! Strangely, I didn’t have a lot of interest at first and ignored my samples. But, I’m so glad I finally tried them, in large part thanks to your review! When you eventually try them, you’ll be glad you did, I’m sure. So good to see a new brand that gets it so right in every way. I think Neela was listening to us or rather is one of us, like you say. I hope others follow her model in the future. It’s surprising for me, but after reading your review (and those of Undina and Candy Perfume Boy) I really think Bombay Bling! would be my favourite. A perfume with anti-depressant properties is a very good thing! I hope the brand will be really successful, so others copy their “perfumista-friendly” style. 😉 And Neela deserved not inly recognition but also financial success for her efforts. I hope you try them, I would so love to know your thoughts, Tara! Mohur sounds divine. And I have long looked for more perfumes that inspire cheerfulness – for me Ormonde Jayne Osmanthus is eternally cheerful. Bring on some Bombay Bling. There’s a lot I like about this brand, though I’m a touch hesitant about the fragrances themselves given that much of Duchaufour’s work strikes me as pickled wood-chips ( Here’s lookin’ at you, Eau d’Italie line ). People tell me he’s turned a corner since his Sienna L’Hiver days, though, and Mohur really interests me. Have you tried Paestum Rose? If so, how would you compare it with Mohur? I see what you mean, I never got warm with the Eau d’Italie line either (apart from Jardin du Poete, which was nice). I vastly prefer Mohur to Paestum Rose. It is warmer, softer, smells richer and more expensive. I am reminded of Amouage Lyric a little when wearing Mohur, although it is not that “symphonic”. These are truly lovely, sadly my sample of Trayee is almost gone! I think a disovery set is a must in future! I just broke down and bought the discovery set. I was going to shell out for Trayee but it is soooooo out of my price range. Then I tried Mohur and loved it too so it bought I better go through 10mls of each before I shell out over 200.00 for a bottle. The discovery came to about $124.00 US. I tried to resist, but eventually I had to admit defeat. Trayee is on its way to me as I write this. I just had to have it; the scent, the bottle. Perfection.